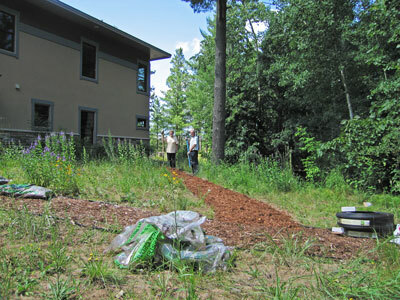 July 19, 2009: The hard-working crew of Mark and Paula Persons are seen constructing a new walkway on the grounds of Gilbert Lodge. First plastic edging is dug into the ground, then black matting is installed to keep plants from growing in the path, then aromatic red cedar chips are put on top to complete the project. 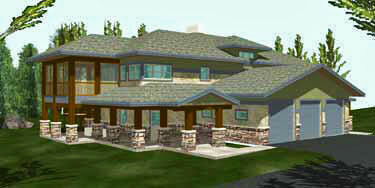 Now guests can hike or stroll the grounds seeing wild flowers along the way. 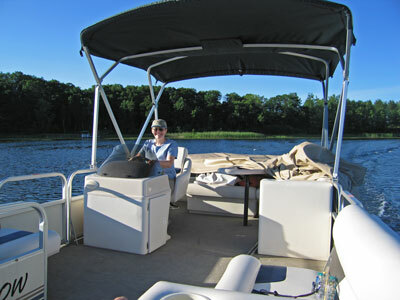 Later, Paula "Gilligan" Persons is seen piloting the mighty Minnow around Gilbert Lake. Along the way, we spotted some Minnesota Loons. Lilly pads are showing up again as they do every year at this time. 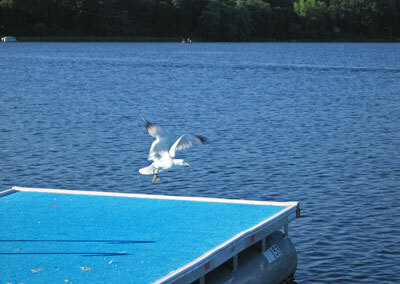 A gull was seen taking off from a diving raft on the lake as we approached. 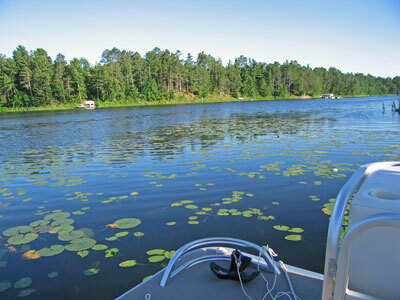 The lake has many recreational users. 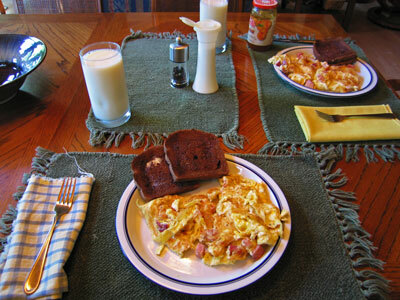 Then it was back to Gilbert Lodge where Chef Paula prepared ham and cheese omelettes. 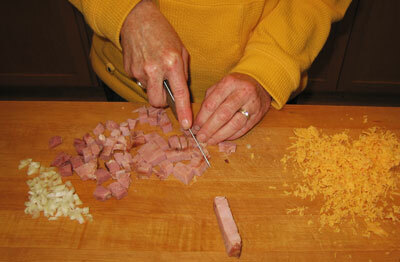 On the table in the Grand Dining Room, it looked and tasted great. Quote of the day: Spend your Minnesota summers wisely as they don't last long.